Nothing beats a fitted conceal holster. 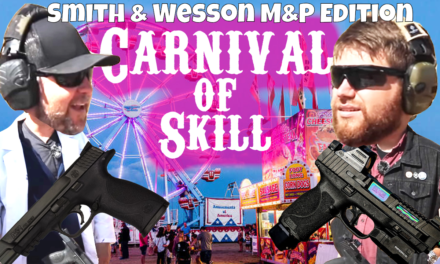 When your gun slides in and you feel it click into place, held firm by the fitted Kydex to my specific sidearm, it is like bells on Christmas. With so many options in holster manufacturers out there, why choose White Hat? There are four things I look for when I carry: comfort, quality, accessibility, and concealment. I recently drove over 500 miles, from Michigan to Tennessee, and there are a couple of things I do on each of my long car trips (this one being nine hours): Buy a couple of sodas, some Red Vines licorice and take my wallet and my firearm and put them in the glove box as they both seem to make me feel like the princess and the pea after a while. This trip was a bit different, though, with the White Hat MaxTuck slipped into my waist-belt. There were no issues on comfort, and the wallet found itself lonely with only my insurance papers to keep it company. 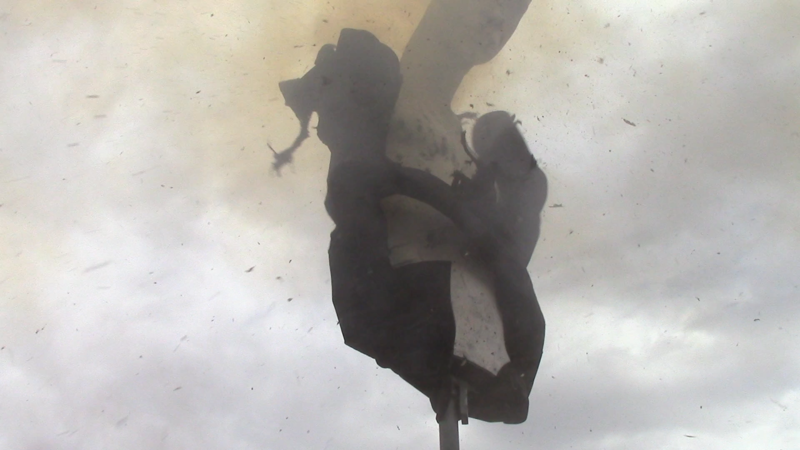 The holster did not dig into my leg, waist, or lower abdomen during the entire trip. The leather flanges also kept the gun from resting on any exposed skin and kept the firearm pointed in a safe direction away from myself. The cowhide (optional horsehide) softened up so quickly to the point where it felt like it belonged on my side. The natural leather actually felt breathable against my skin and held in place without issue, I was not worried that it would shift once it was put into place. 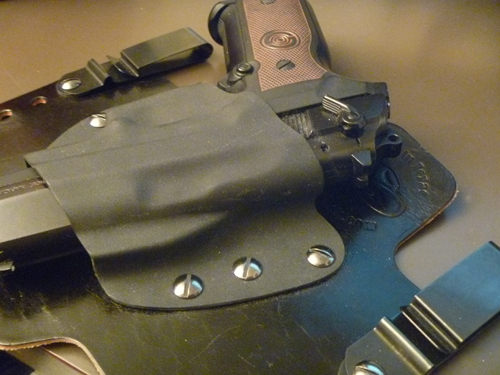 One of the real nice features on this holster is its versatility. 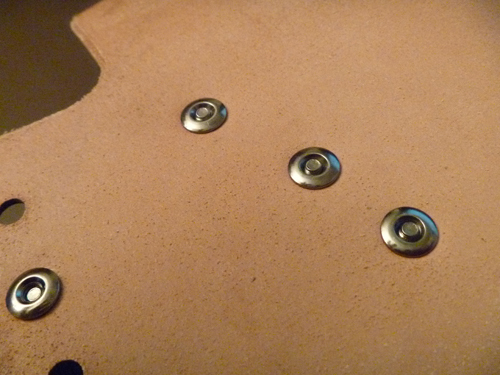 The holster has screws and self-molding holes holding the waist clips that allow you to adjust depth. If you like a high-riding IWB holster, or a lower one, this holster will definitely work out for you. 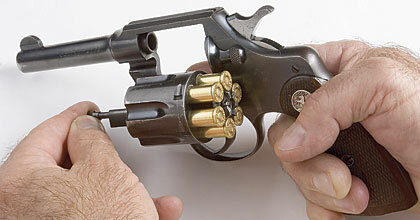 I found on my trip that while I was belted in, I could still slide my hand down to my holster and grip the handle of my gun. There would be no issues with accessibility. If I were to have needed it, it was there. 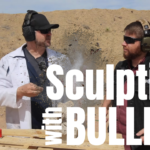 While many firearms are not 100 percent concealable, this holster came pretty damn close to doing the trick. 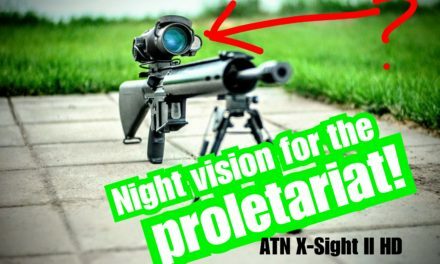 As I mentioned previously, the adjustable height can drop the gun deeper into your waistband, giving it a lower profile and less of a sightline. 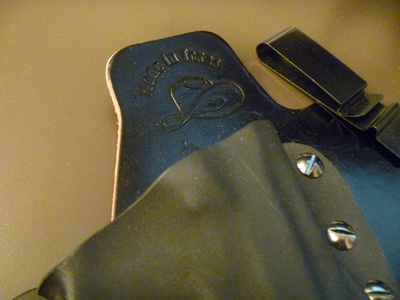 A couple of very cool things to note about White Hat holsters: They customize your holster. Besides their extensive list of prints they can put on your Kydex, from pink leopard print to the U.S. Constitution, with an option of if you have a digital image you want on there, they can put it there. 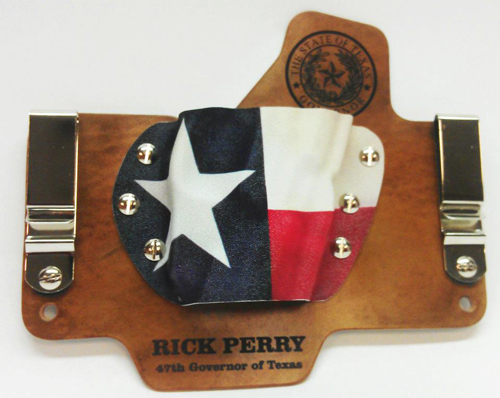 Heck Rick Perry (Texas governor) has a pretty sweet customized White Hat holster, and being from Texas I am sure he knows a lot about holsters. 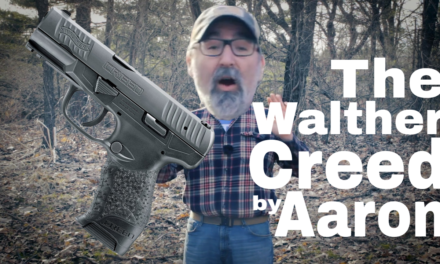 I found the weight distribution on the holster to be a bonus as well, with the 15-degree cant, the gun’s weight felt centered, and I never felt the gun was leaning too far out—it was right where it was supposed to be and never felt out of place. I almost have say the craftsmanship is impeccable, which it has to be with their lifetime warranty—they are putting a lot of faith into their product. I don’t blame them. After wearing their products, I have a lot of faith in it, too. 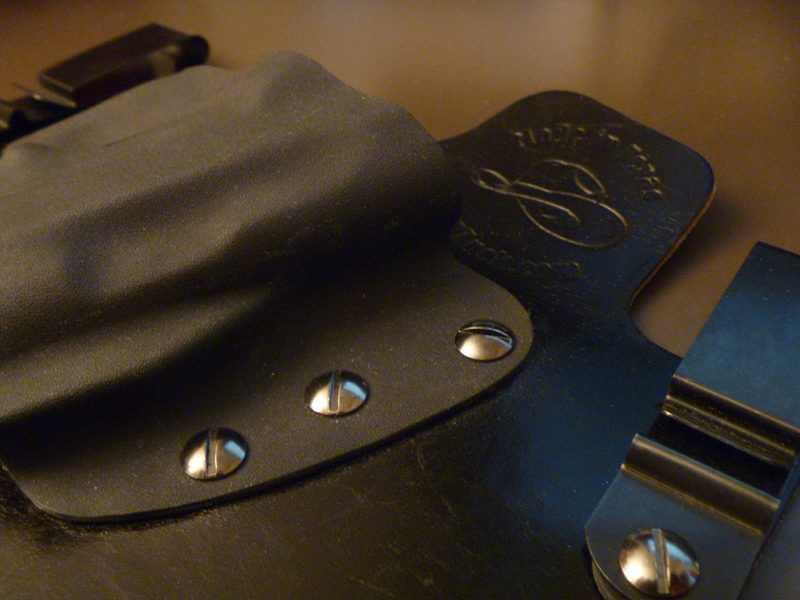 One last thing of note: The holsters are not cheap, but they are far from expensive. 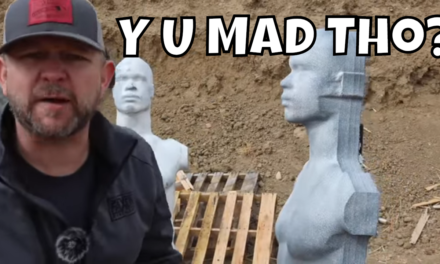 Between $60 and $80 (IWB) and $40 and $45 (OWB) for their products, and let me tell you, they could charge more and I would still pay for it. Well worth it.